Events are great, parties are amazing, and being able to bring people together in one place for the same purpose is very fulfilling. But event planning can be a stressful job for anyone to pursue. Aside from the usual food, decorations, and parking arrangements, preparing a seating order for guests is another responsibility to take care of. And with a huge crowd and a big venue, this can be a bit frustrating for most hosts and planners. Thankfully, seating charts can make the job easier by helping you visualize where people can sit during your event. That being said, let’s discuss the basics of a seating chart in this article. 1. Safety regulations: A lot can happen within a given span of time. Thus, you need to think and plan ahead for any unforeseen and emergency circumstances that may be faced within the duration of your event. 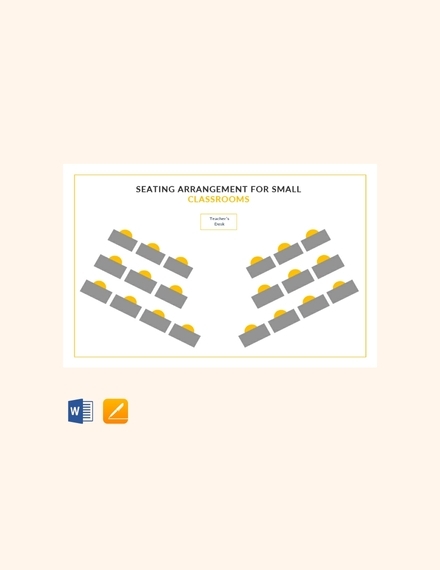 Venue capacity and other safety hazards must be studied when creating your seating chart. You need to make sure that guests seated anywhere in the venue are provided immediate access to the exit points available. 2. 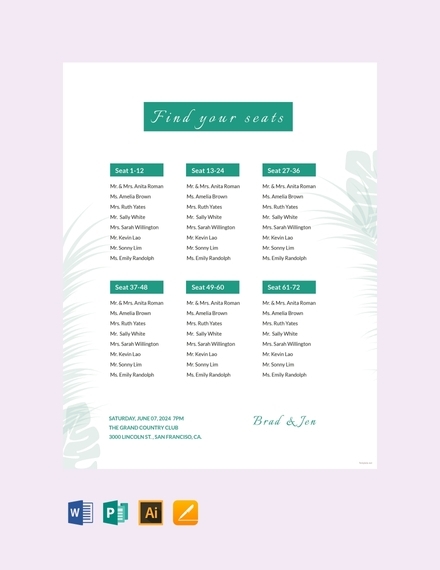 The number of guests: Whether you have a guest list of fifty to five hundred people, the number of attendees present at the event will greatly affect your seating chart. For one, you can’t sell twenty thousand concert tickets for a venue that can only hold a seating capacity of fifteen thousand. There should be enough room to accommodate, quite comfortably, every single individual present at the event. 3. Venue: Not everyone realizes how important it is to know the size and structure of your venue before creating a seating chart. Not only will this give you an idea as to how everything should be arranged, but this also shows how many people may be accommodated at each table or section. It’s best to consult the manager or supervisor for a layout of the venue beforehand. 4. 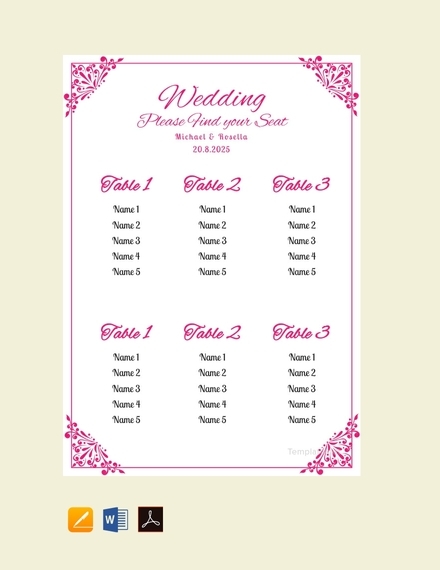 Styles and layouts: Seating charts often vary in terms of style and layout. 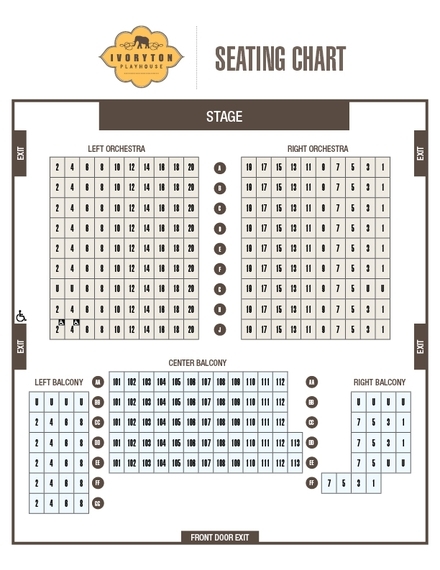 Say for instance, a seating chart for a wedding reception is far different from that of a music concert. This would depend on the number of guests that may be accommodated, the size of the venue, and the preferred seating arrangement of the event host. All these factors, and more, must be considered before finalizing the chart. One thing you need to remember when it comes to devising your seat plan is to always do it weeks or even months in advance. That way, you can avoid any potential disasters associated with your planned seating arrangement. Once you have received an attendance confirmation from each one of your guests, you can then start working on your seating chart. Determine the number of guests that will come to your event as well as the number of people that may be seated at each table. You need to consider the best possible option for the size and structure of your venue, along with the comfort and convenience of guests assigned at each area. Visualizing the seat plan in your head will never be as effective as mapping it out on paper. Illustrating how everything will be arranged in the venue offers you a better look of what’s efficient and what’s not. Principal sponsors and other important personalities at your event should always be a priority when crafting a seating chart. These individuals are usually seated at the first few rows of the venue or at the nicest table available. For formal gatherings where you don’t know every single guest in attendance, don’t hesitate to ask for opinions and suggestions from friends or professionals who might know better than you. 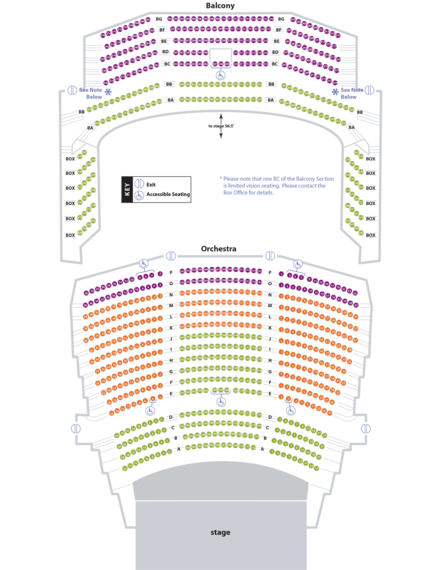 This is a great way to generate a more informed decision in regards to your final seating chart. 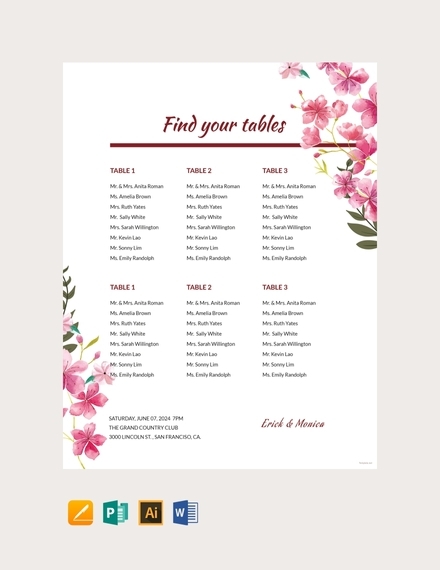 Once you’ve settled on a final seating assignment, it’s time to get a bit more personal with the help of a few table card designs. This adds to the aesthetics of each table, complementing the overall ambiance of your event for guests to enjoy. Plan out what’s best for your purpose: There are no hard and fast rules when it comes to creating a seating chart. Instead, you need to focus on what’s best for the event you’re hosting. You can do this the old-fashioned way by using Post-it notes on a handmade diagram of your floor plan. That way, you can easily apply the necessary adjustments to your arrangement. Keep the right people together: As much as you want your guests to mingle with the people around them, not everyone will be too happy about being seated next to someone they’ve never been acquainted with before. You can skip the awkward introductions and dry small talks by grouping the right people together. It wouldn’t hurt to have your work friends, your college classmates, and your family members in their own tables. Mix it up: We all know someone who can be the light of the party no matter where they are. So if you happen to know a few people who can tickle everyone’s funny bone, designate them to different tables. That way, you won’t have to worry about personalities crashing or arguments erupting during your event. Finding the right balance between each table and guest is sure to generate positive outcomes. Make it easy to read: For everyone’s convenience, don’t make it hard for people to read your seating chart. Stick with a simple layout by applying white space when needed. Proper alignment and good typography will also keep your chart clean and organized. Listed below are the different seating styles that you can use to plan your event. 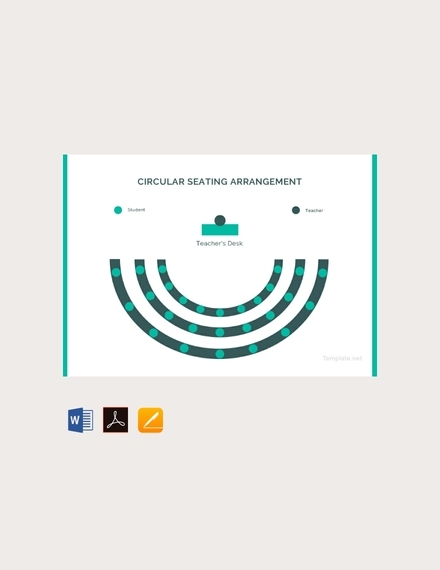 This is arguably the simplest seating style of the bunch, as it reflects the seating arrangement found in a theater or cinema with chairs aligned in consecutive straight rows around the place. About 90% of the venue is filled with chairs facing forward toward the front and center of the room. Since chairs take up most of the venue space, you won’t find a lot of tables lying around for people to use. However, in some cases, cup holders or small tables are built into the chairs for the convenience of guests. This is a popular arrangement for concerts, product launches, and other functions. 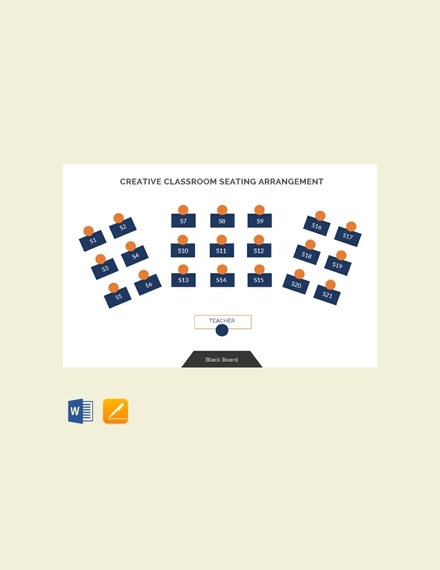 Similar to a theater-style seating chart, a classroom seating arrangement has chairs and trestle tables aligned in consecutive straight rows. Seats are faced forward in specially designed chairs to give spectators the chance to take notes and consume plated food and beverages. The only disadvantage from such arrangement is how it makes it all the more difficult for audience members to make their way to their seats without disturbing other attendees. Thus, entering and exiting the room is often discouraged while a lecture is taking place. As the name suggests, tables and chairs in this arrangement create an open-ended configuration with the audience facing inward to form the shape of the letter U. The presentation area created allows the host to engage with each member of the audience and encourage everyone to interact with one another. But because of how tables and chairs are positioned, the seating capacity is reduced, resulting in the inefficient use of floor space. Here, chairs and tables are faced inward with four sides and no open end. Considering how audience members are basically forced to face one another, audience interaction is thoroughly enhanced for better learning. This is perfect for sessions that require attendees to share individual stories or insights about the topic being discussed by the proctor. This is a common seating arrangement used to tackle meeting agendas as well. This style is fairly similar to a round dinner table, one in which guests are seated around the circumference facing inward. This type of seating arrangement is usually implemented for galas, wedding parties, birthday dinners, and other formal events. Unlike the other types of seating styles mentioned in this list, there are no actual chairs available for guests to sit on. It’s literally a huge standing area for attendees, one where floor space is fully maximized to accommodate more people. This also encourages more interaction among members of the audience, giving everyone the chance to freely roam and mingle with other guests. However, this does eliminate the “comfort” factor of an effective seat plan. 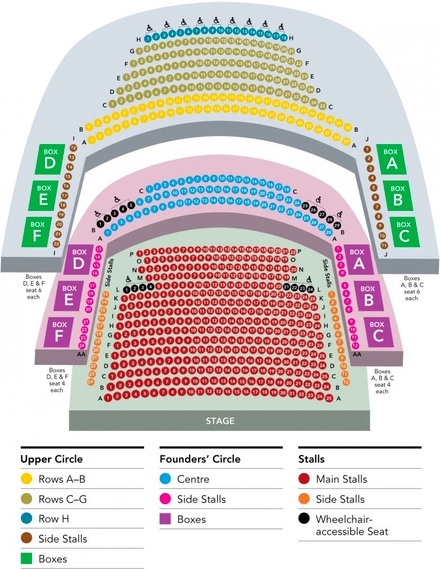 What does a reserve seating mean? 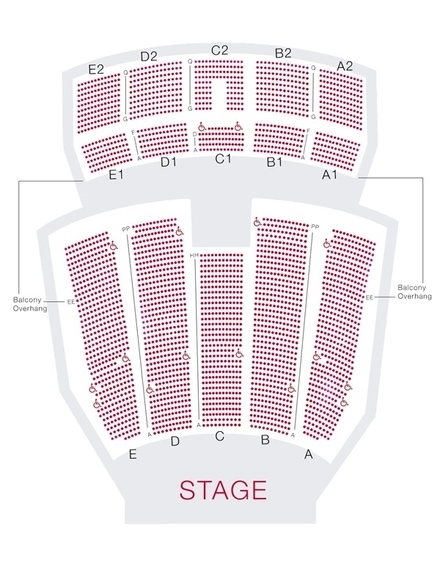 In live entertainment, such as concerts, plays, and comedy shows, the seating assignment of spectators is typically designed in a reserved seating arrangement. 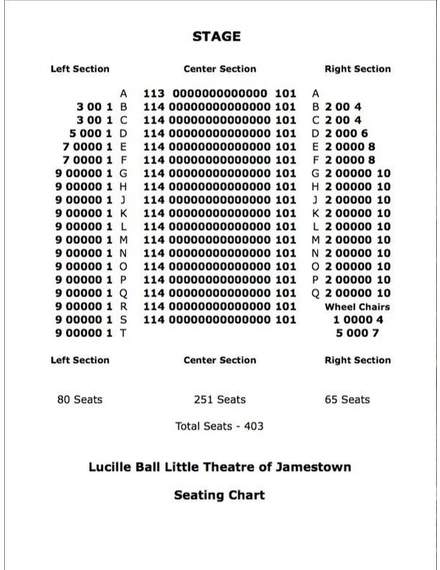 Here, seats are identified according to their row number/letter, seat number, and section. Seating assignments are established in advance through reservations or event ticket purchases. This is a common scheme used for events held in large indoor venues such as stadiums, arenas, and theaters. 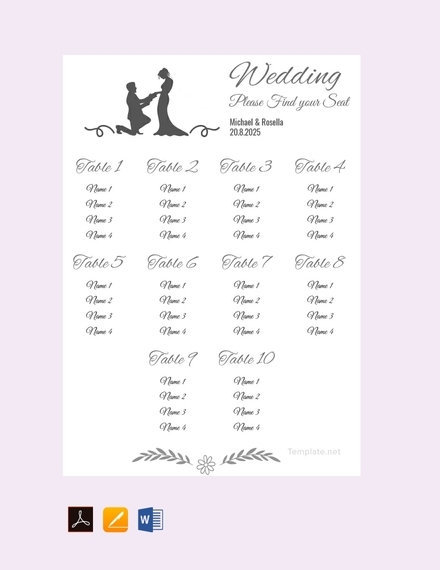 How do I make a seating plan? Making a seating plan isn’t as hard as it seems. Although it should be done as carefully and strategically as possible, with the help of a few techniques, you can create the chart without much trouble. Be sure to keep it legible and simple for event staff and guests to understand. Always consider what’s best for your guests in terms of safety and comfort to ensure the success of your event. The seating arrangement of your event should never be the product of your whim. It must be planned out carefully to maximize the space of the venue and to ensure the best possible assignments for guests. 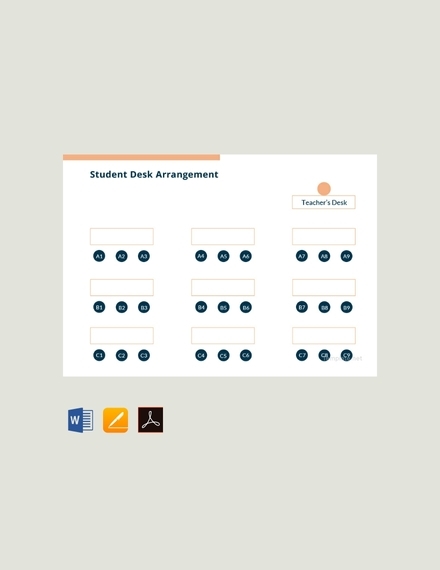 And with the help of the seating chart templates and examples provided in this article, you’re sure to get inspired!